Got an idea for a business? Where do you start? Where do you go? And how do you make it in Grand Rapids? Tiffany and Luke discuss all things entrepreneurship and business in the 616. This includes the pros and cons of starting a business in Grand Rapids as well as helpful tips and resources. PLUS Tiffany hands out some advice you can’t print on a poster or use as an Instagram bio. Listen to the founders of Woosah and Outside Coffee Co.
Record a song or tune (at least 30 seconds long) that best represents the iheartGR Podcast. It can be any style and contain lyrics (or no lyrics). Send your song in an .mp3 format to iheartgrandrapids@gmail.com with your band name and contact info. If you want to learn about the local music scene in Grand Rapids you have to go to the source-- John Sinkevics. Luke sits down for a 1 on 1 interview with the mastermind of Local Spins before his live weekly show at SpeakEZ Lounge. John shares about the transformation of Grand Rapids music, why he supports local artists, and the worst concerts he’s covered. Plus Luke gets John’s opinion about the controversial and dynamic Michigan rock band Greta Van fleet. 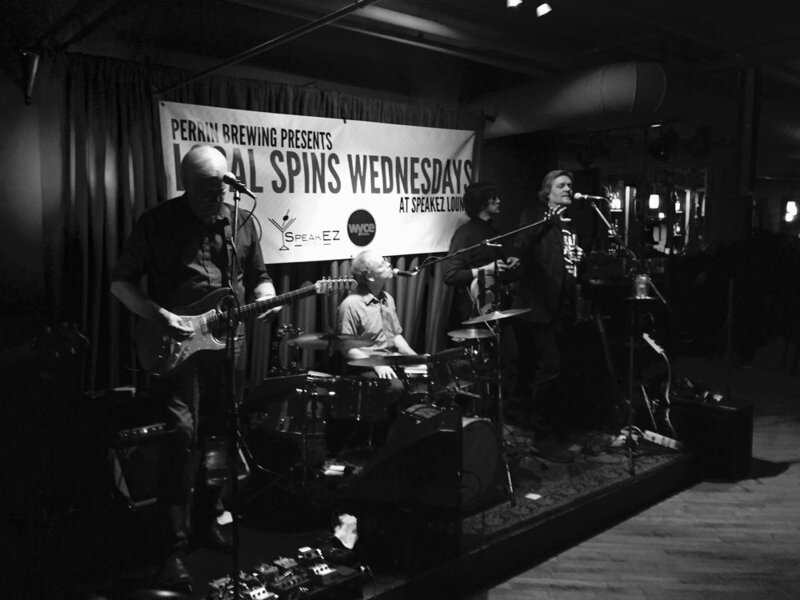 John’s commitment to growing local and up-and-coming artists is contagious and will make you want to head out to a local venue, grab a beer, grab and friend, and surrender yourself to the music. The winner of the contest will be recognized on every episode, have their music played for a wide audience, and come on the show for a feature episode all about your music. What is community development? It sounds nice in a press release or printed brochure but what does it actually mean for Grand Rapids neighborhoods? Tiffany and Luke discuss the four sectors that influence community development and the challenges facing our city. Plus they break down the "G-word” (gentrification) and celebrate success stories of community development in Grand Rapids. Making friends as an adult is hard, especially in a close-knit community like Grand Rapids. Per our listeners’ request, Tiffany and Luke chat about the challenges and opportunities to build a lasting friendship in the Grand Rapids community. Photo evidence of Tiffany’s recent experience parking in Grand Rapids. Grand Rapids’ most controversial topic—parking! 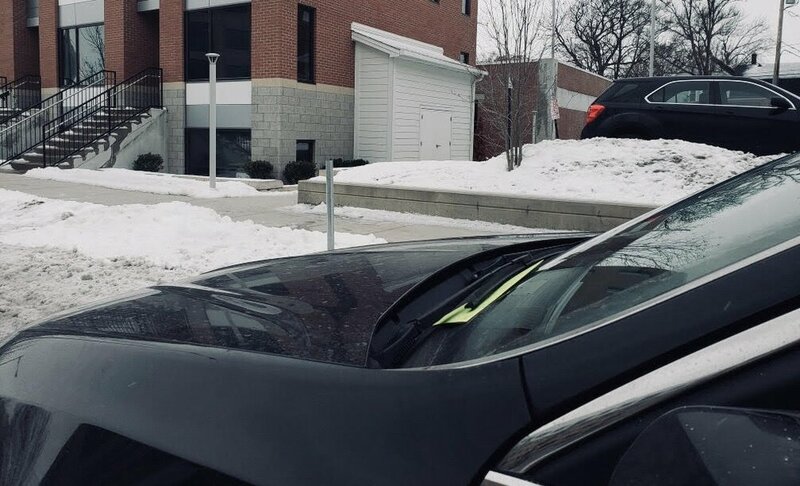 Tiffany and Luke escape the Michigan winter at The Plant Parlor to discuss the logistics, finances, and culture of parking in Grand Rapids. Parking meter locations in Grand Rapids. 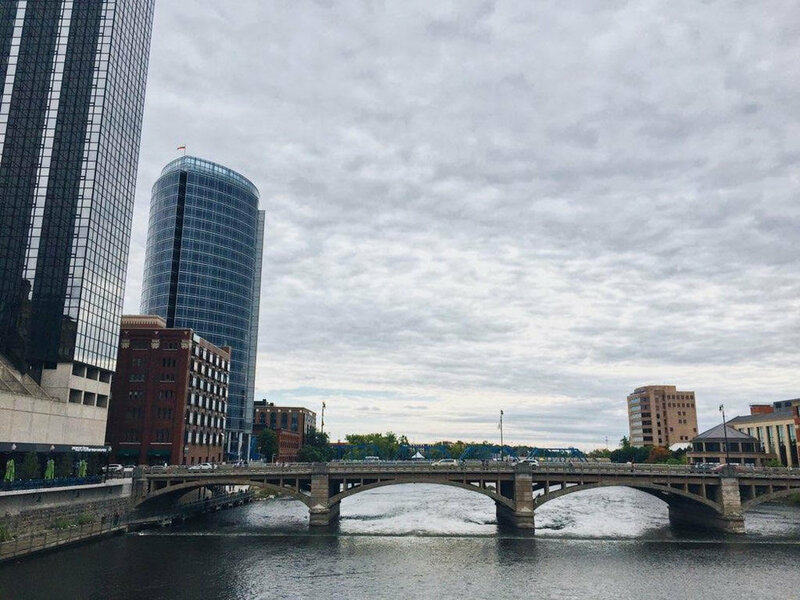 Don’t miss the Grand Rapids stories you need to follow in 2019. Tiffany and Luke return to one of their favorite locations—the Grand Rapids Public Library—to discuss what you should look forward to this year. Topics include the new city manager, food trucks, new businesses, ArtPrize, parking, and more. Celebrate the holiday season and catch up on the stories that are making us feel good this year. PLUS Tiffany and Luke introduce iheartGR’s social media superstar Aubrey Kuipers to the podcast. The group discusses their favorite holiday spots in Grand Rapids and what they are looking forward to next year. This episode was streamed live on Instagram TV. Stay tuned to our social channels for future streamed episodes where you can be part of the show in real time! Tiffany, Aubrey, and Luke recording the iheartGrandRapids Podcast LIVE on Instagram TV. Get out the candy and put on your favorite costume for iheartGR’s Halloween Special! Tiffany and Luke discuss their favorite and not-so-favorite Halloween traditions, the spookiest places in Grand Rapids, and the cultural fascination and disdain for the holiday. In the spirit of March Madness, Tiffany and Luke create a bracket to decide the most famous Grand Rapidian. Special thanks to Field & Fire Café for hosting our bracket busting, Cinderella story, one-shining moment episode!